In addition to the ÖPNV’s schedule, the Berchtesgaden “RufBus” (on-call bus) will be in service in the townships of Berchtesgaden, Bischofswiesen, Schönau and Ramsau. What is the fare per person? Only the shortest route through the zones will be charged! It can be ordered two hours prior to the desired departure time. No parallel operation with the lines offered during the operating hours of public transportation. Public transportation can be used free of charge upon presentation of a valid guest card of the tourist region Berchtesgaden-Königssee (available from your landlord) in the municipalities Bischofswiesen, Berchtesgaden, Schönau am Königssee, Ramsau and Marktschellenberg. - A valid combination ticket Rossfeld ski lifts/RVO is required for the ski shuttle bus to Rossfeld. - A reduced fare will be charged for the lines to the Mozart city Salzburg. - Only the toll fee is payable for the lines to Rossfeld. - The line to Bad Reichenhall costs 3,- € for adults and 1,50 € for children (6-14). 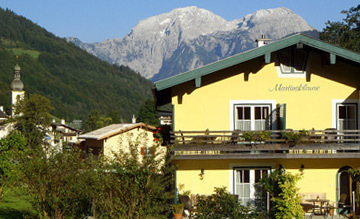 On presentation of a valid guest card of the tourist region Berchtesgaden-Königssee, a reduction of 50% is granted for the above fees (with the exception of annual passes). The parking space Hiesenbrücke is free of charge upon presentation of the guest card. Please note that Debit / Credit cards and bank notes are not accepted by the parking machines, nor do they return any change. 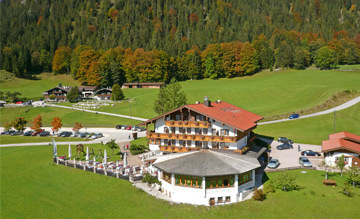 Ramsau is pleased to offer an increasing number of accessible facilities, hiking trips and hotels. Barrier-free, for example, is the new tourist information office and the town hall. In addition, multiple restaurants and toilets, for example around lake Hintersee and the National Park.